Perhaps in the not-too-distant past, Homo sapiens were much more intuitive with the natural world. Plants spoke, and we listened. They offered their assistance, and we accepted. Domestication seems to have bred out this innate perception our ancestors once possessed, to the point where, to many, a glance out of today’s window offers barely more than an inanimate, indistinguishable wall of green. Fortunately, what we fail to glean firsthand from the natural world can be teased apart by conventional science. Lemon balm (Melissa officinalis L.) is a plant in the mint family that has traditional usage amongst different cultures around the world, as well as modern scientific research to support its claims. Native to the eastern Mediterranean region, southern Europe, and western Asia, lemon balm’s targets include the nervous system, as well as the gastrointestinal and respiratory tracts. Brand new research has just revealed another property of lemon balm, one that has been known by indigenous peoples for centuries, yet never fully recognized by scientific analyses. Lemon balm, according to recent research, is anti-inflammatory. A study from 2013 in Advances in Pharmacological Sciences examined the role of lemon balm in the reduction and inhibition of edema in rats (1). The researchers performed two experiments to induce edema in the study’s rats: injection of carrageenan (extract of seaweed) into the left hind paw, and dropping a 50 gram weight on the left hind paw, of each rat. Prior to these events, an essential oil extract from lemon balm was orally administered in two doses, 200 grams and 400 grams. A control group, which received a distilled water solution, and another experimental group, which received a non-steroidal anti-inflammatory drug (Indomethacin), were also evaluated. The results? Lemon balm essential oil, in doses of 200 grams and 400 grams, significantly reduced and inhibited edema in early stage and late stage inflammation. This was shown to occur for both the carrageenan- and trauma-induced edema. No toxicity or changes in body weight were observed after oral administration of lemon balm at 200 grams and 400 grams, showcasing its safety. 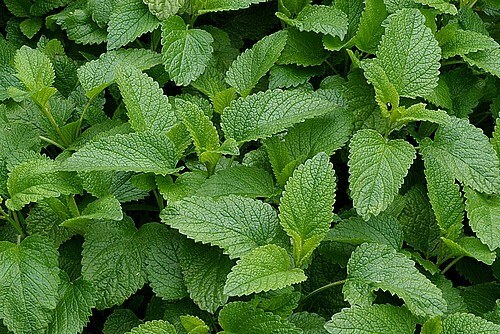 Lemon balm essential oil was more effective at inhibiting edema long-term than the NSAID (Indomethacin), especially at 400 grams in the carrageenan-injected rats. Here we have a plant that mitigates acute inflammation – a condition that has no doubt been experienced by all. Although necessary, acute inflmmation can be irritating and overwhelming (think wounds or surgery) and can affect quality of life. When natural treatments like lemon balm exist, it may be wise to seek them out and implement them into our healing strategies. Yes, this study was performed on animals, and human beings are not of the murid family. Keep in mind that Melissa officinalis has been used for the treatment of pain and other inflammatory processes by native peoples, and isolated anti-inflammatory compounds found within lemon balm have been scientifically studied. Lemon balm is an excellent plant to keep on hand and can be found all over the world. If you are suffering from an acute injury, irritation, swelling, edema, or wound, consider ingesting lemon balm as a way to combat the inflammation. And to discover what else lemon balm may assist you with, open your senses and listen closely. Intuition is a powerful tool.